A recent news story in Bloomberg News discusses the effects of the legalization of medical marijuana, and its effect on smoking bans in apartments. This blog post will discuss the possible effects of such new legal developments on apartments in the New York City area and its surrounding suburbs. Although marijuana use for recreational purposes is not yet legal in New York State (although several other states, such as Colorado, have legalized its use for all purposes), it can be used legally in New York for medical purposes. 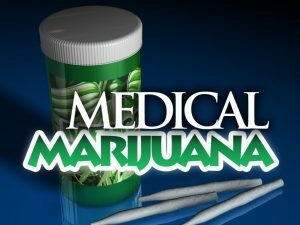 According to the New York State Department of Health’s website, a person with a severe medical condition, such as cancer, HIV, ALS (Lou Gehrig’s disease), Parkinson’s disease, as well as other life-threatening conditions, may be eligible to receive medical marijuana with a prescription from a doctor registered with the Medical Marijuana Program. Legal issues may arise from the use of medical marijuana, as many rental apartments, cooperatives, and condominium buildings have enacted bans on smoking. Many rental apartments will contain in their leases a ban on smoking within the apartment and in the building common areas. In addition, many cooperative buildings have also started to ban all smoking, even within the individual unit owner’s apartment. These smoking bans were discussed in a prior blog post. Of course, prior to the legalization of medical marijuana, these smoking bans would have also applied to smoking marijuana (or any other smokable substance) in an apartment. The use of an illegal drug within a rental unit may have also likely given a landlord cause to evict the tenant for illegal activity in their apartment. However, the legalization of marijuana for medical purposes may have given the user an exception to such smoking bans. An analogy may be with rental apartments and other buildings which ban pets. Another prior blog post discussed the legal issues relating to pets. New York Courts have created an exception to pet bans where a doctor has certified that a pet is medically necessary for the physical well-being of the pet owner. As a result, a tenant (or a cooperative owner) who is brought to landlord-tenant court for violation of their lease (or, in the case of a cooperative owner, the house rules or proprietary lease) regarding pets, can defend such an action on a medical basis. Of course, it would be necessary to have a doctor testify or provide written evidence of the medical necessity for the pet. Given these precedents, and the general litigiousness of New York tenants and landlords, one would expect that similar rulings may occur in the case of a tenant or unit owner who smokes medical marijuana in their apartment. Since such activity is now legal in New York with a doctor’s prescription, the individual cannot be evicted for illegal activity. In addition, even if a building bans smoking, the precedent set by pet cases may allow the Courts to create a specific exemption for smoking medical marijuana, even if smoking has been banned by the landlord or the cooperative corporations. Our firm will continue to follow the law in this area, and will provide updates as future Court rulings are issued.